It’s Super Bowl Sunday, and SVG has you covered for all the video-production innovations in Minneapolis. 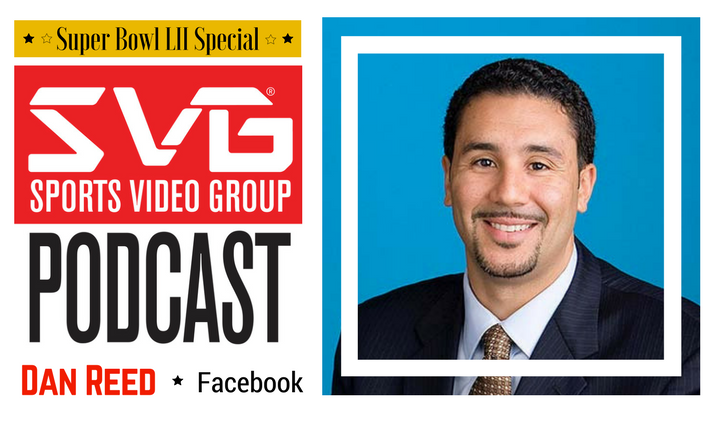 Through Super Bowl Sunday, SVG will bring you daily episodes of The SVG Podcast as Chief Editor Jason Dachman and Director of Digital Brandon Costa give you the inside scoop on everything they are seeing and the big themes they are hearing from all the big video-production players here in the Twin Cities. In addition, each episode will feature an in-depth interview with a major executive or intriguing personality that dissects their team’s onsite Super Bowl efforts and offers their opinions on larger trends facing the sports-media industry. On today’s episode, Jason and Brandon take you inside a unique flypack setup from NFL Media, break down the in-venue videoboard show at U.S. Bank Stadium, celebrate the legacy of NFL Films, and give you one last preview of what NBC Sports has in store for the big game. Brandon also catches up with Dan Reed, head of global partnerships, Facebook, to discuss its new documentary series Tom vs. Time, how the platform’s sports team is supporting its partners in times of change, and where the art of sports-video production will play a role in the future world of live sports distribution across social-media platforms.